hd00:09Santa Claus Standing With Tablet and Snow Maiden With a Gift in Hand Standing Near the Christmas Tree, Show Each Other Gifts and Communicate. Laugh and Rejoice. 4k00:11Santa Claus sleeping on coach tired of giving presents. Santa having a nap, weary Santa Claus. 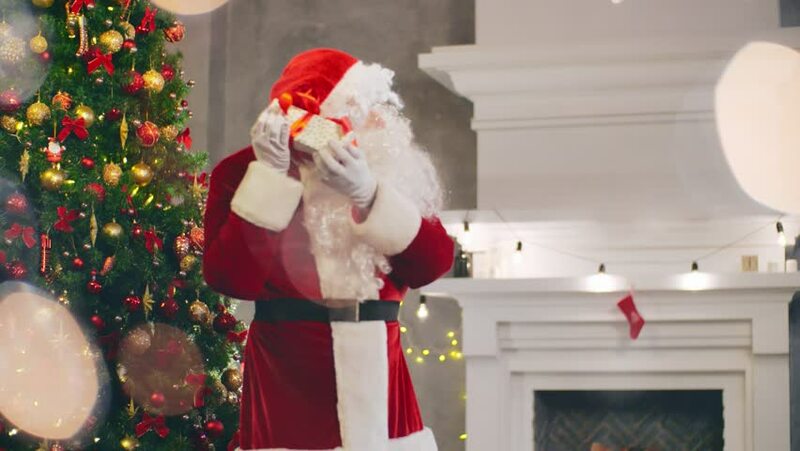 4k00:10Picture of Santa Claus getting present out of his bag. Background christmas tree, New Year Eve, holiday conception. 4k00:13Santa Claus sitting on couch and playing games on computer tablet. Santa surfing the internet. 4k00:11Santa Claus using Siri sitting on couch in living room. Man dressed like Santa using mobile phone.